RasterWeb! 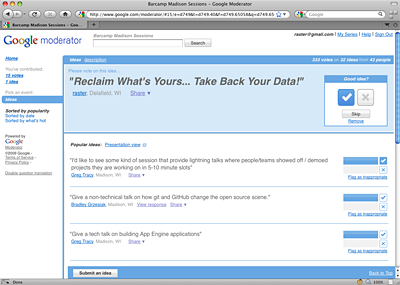 Reclaim What’s Yours… Take Back Your Data! Posted on Friday, July 16th, 2010 at 3:30 pm. Subscribe to the comments feed. Both comments and pings are currently closed. Post on your own blog.